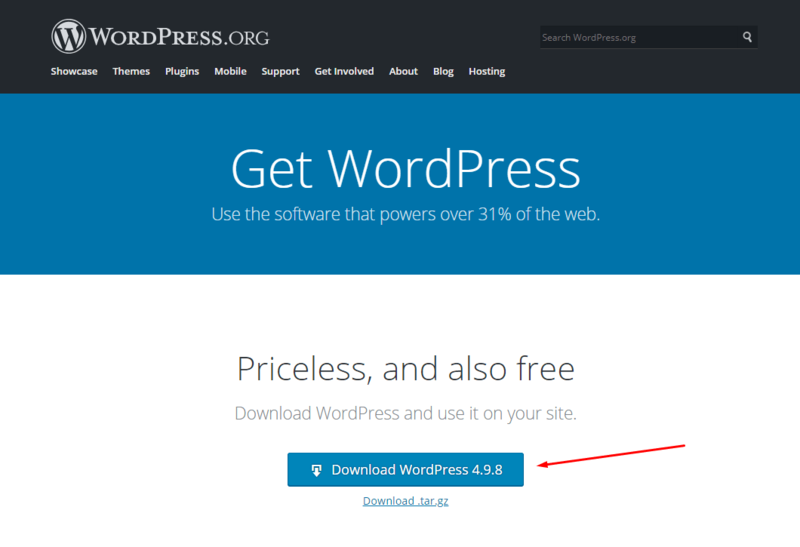 This tutorial is going to show you how to uninstall and reinstall WordPress. Re-installation could solve the problem when all other solutions don’t work. But remember! WordPress install is not the first option to solve all the troubles with the website. Do troubleshooting and website debug first. If it falls feel free to start re-installation. Before doing any updates or re-installation backup your website first. Save backup files on your computer or upload them to any cloud storage. Backup files will not be used for reinstall. But it’s a good idea to have them just in case something goes wrong. Now you can proceed to the next step, content export. You will be able to restore your posts, pages, categories content from this file. 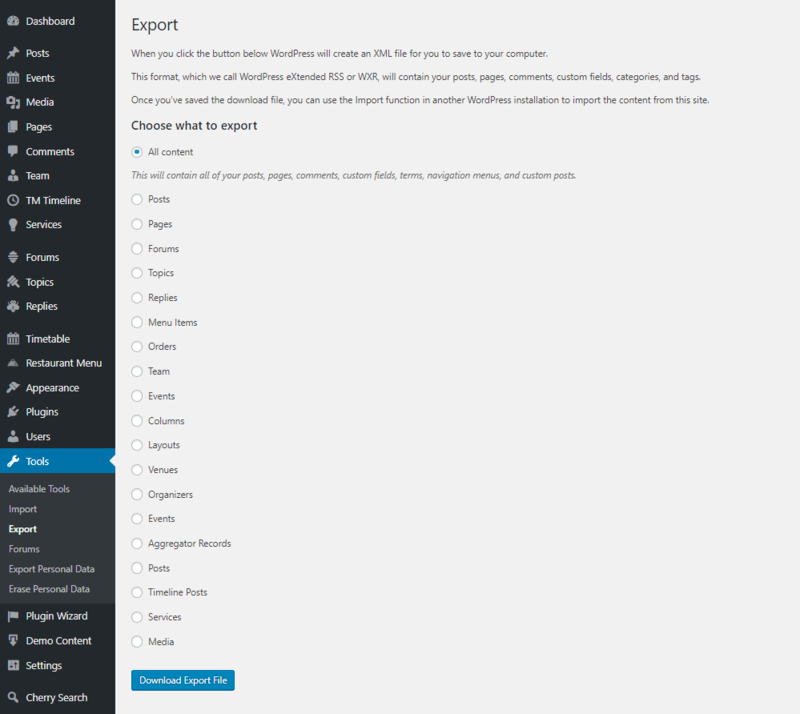 Open Tools > Export page in your WordPress backend. Select all the content and click Download Export File button. The most likely you did some changes or added custom CSS code to your site Customizer. To save those settings we recommend exporting them. Navigate to Appearance > Customize page in your admin panel. Click Export/Import tab on the next page. Click Export button to export your website content. Content export is ready. You can backup files now. Your theme, plugins, images are located in wp-content directory on your server. To be able to use it for reinstall downloads it to your computer. You can access your site files from FTP or File Manager in your hosting cPanel. Select wp-content, compress and download it to your computer. Ready! 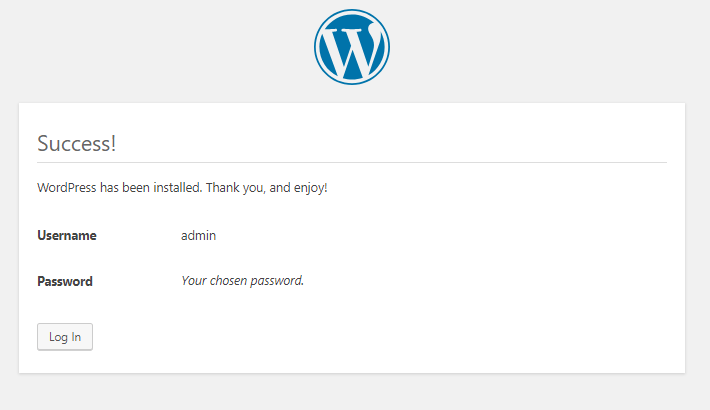 You can do WordPress reinstall now. Now you can uninstall your WordPress. To do that connect to your server and remove all WordPress files from your site root directory. Re-installation requires database removal. But it’s usually a good decision to create new database for your install. Almost all hosts allow to create multiple database. To create a new database login into your cPanel and click MySQL Databases tab under the Databases section. You will see the new database page. Enter your new database name and click create button. Scroll to the MySQL Users section to add new database user. Enter username and create/generate password. Don’t forget to click Create User button to save the changes. Now you need to assign your database to the newly created user. Do that under the Add user to database section. Select your database from the first drop-down and user from the second one. Click Add button to save the changes. 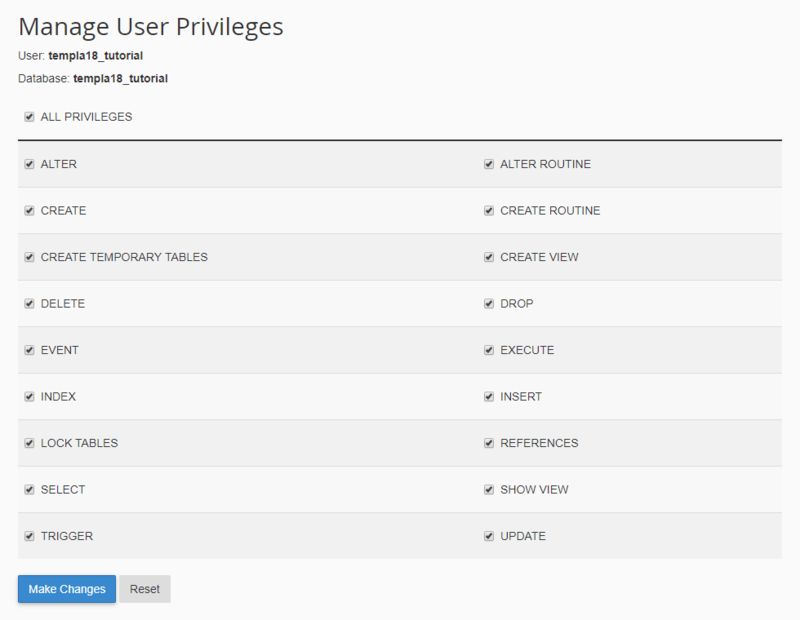 Make sure your user has all privileges on the next stage. WordPress is uninstalled now. You can do the next step. It’s turn for a new WordPress install. 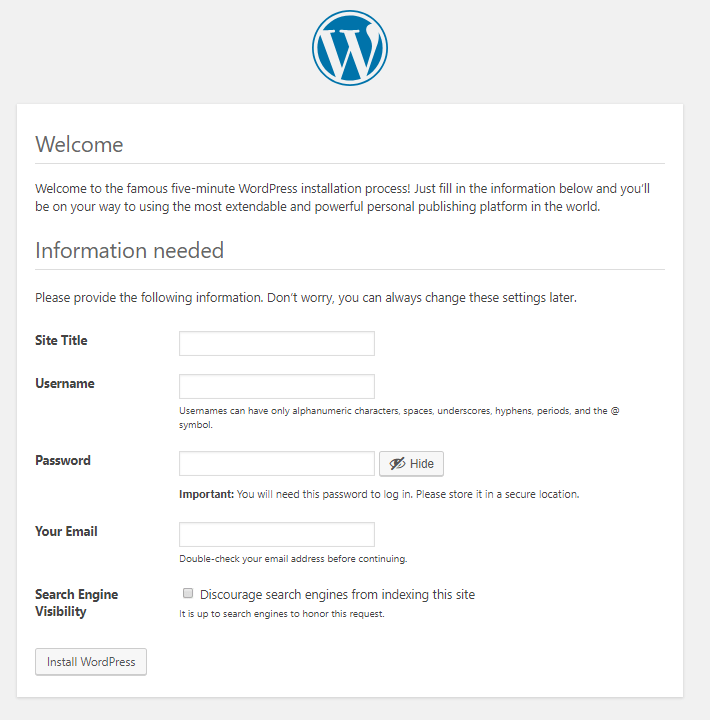 Download a fresh copy of WordPress at official WordPress website. Unzip downloaded file on your computer. You will see folder titled wordpess inside unzipped package. You will need to upload files from that folder to your site root directory. Wait while all files are uploaded and visit your website. 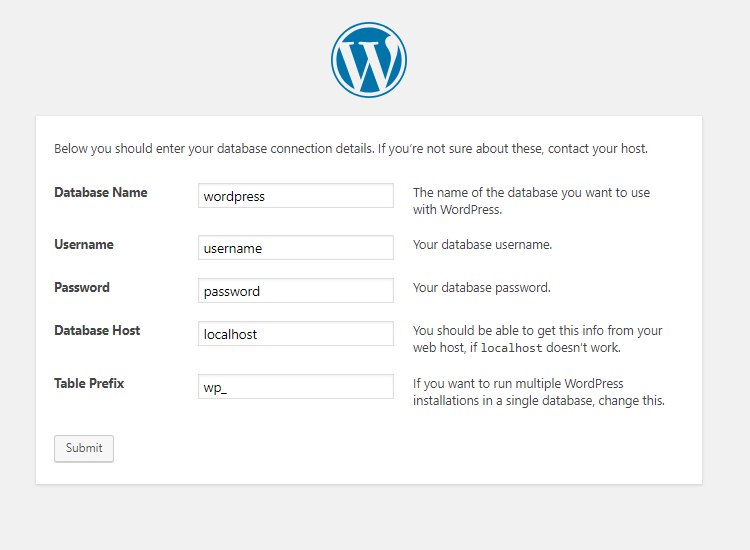 WordPress will ask you to enter database configuration details. database host (the most likely it’s localhost). Once you are done filling database details click Submit button. You will see successful message on the next screen. Click on Run Install to continue install. If any errors on this step please contact your hosting provider. Ask them to give you valid database info. Now provide with information line site title, admin panel username and password, email address and click Install WordPress button to initialize WordPress installation. First, you need to restore theme and plugins. To do that connect to your server from FTP or File Manager in your cPanel. Go to wp-content directory. Next, you need to upload theme, uploads and plugins folders from backup pack to your wp-content directory. Overwrite files that are in your wp-content directory. Now, let’s import site content. Open Tools > Import page. Click Install Now under the WordPress title. Click Run Importer link next. Upload your WordPress eXtended RSS (WXR) file and we’ll import the posts, pages, comments, custom fields, categories, and tags into this site. Choose a WXR (.xml) file you exported earlier to upload, then click Upload file and import. It will ask if you want add more authors to the site. If it’s one author on the website you can leave it as it is. 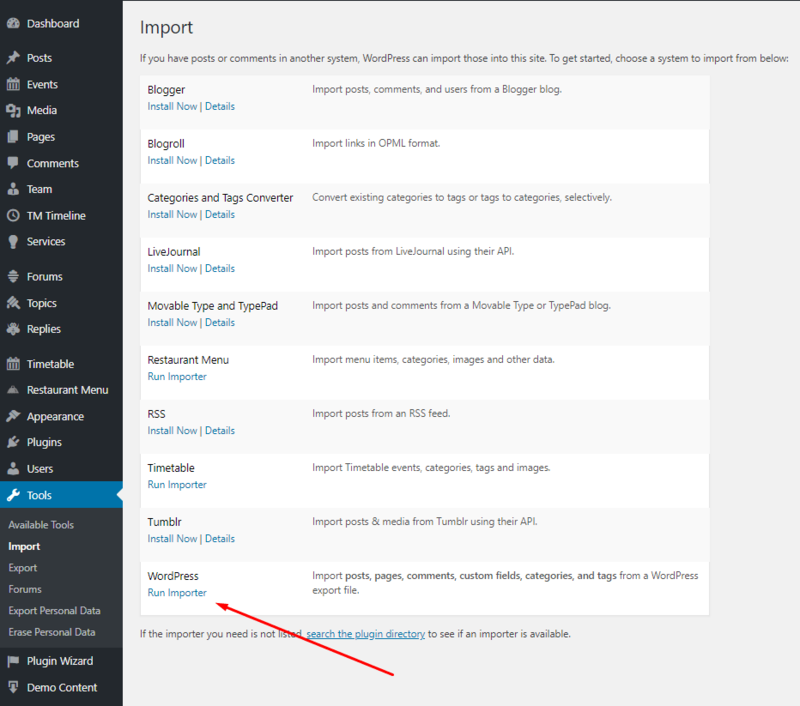 WordPress will import the authors. Click Continue button. Now you will see WordPress page with the imported content. Wait while all the content is imported and check your site. 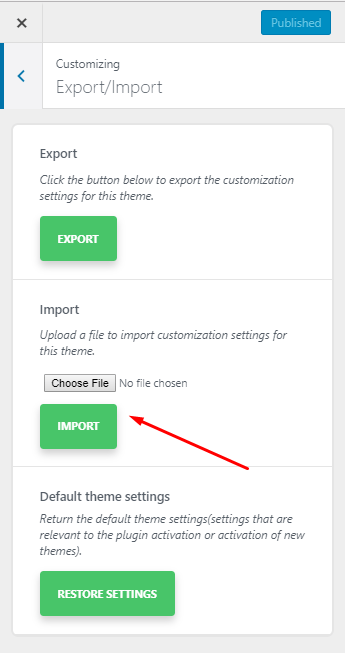 Remember about the Customizer content we exported. It’s time to import it now. Open the same Appearance > Customize page in your backend. Select Import/Export tab on the next screen. 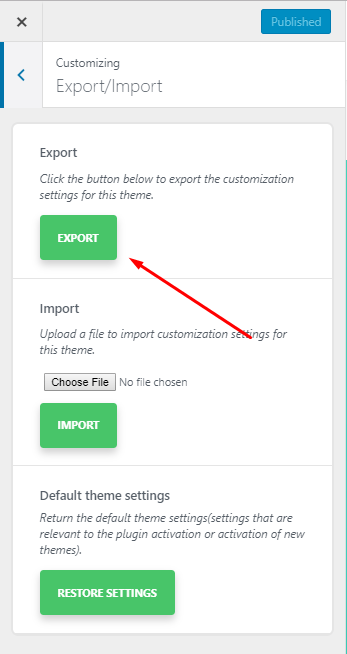 Click Import to import the customization settings for this theme. Wait while settings are imported and check your site. We hope this article was helpful. More tips are coming. If you are looking for more website building options, check out WordPress Themes.